We have the latest news and rumours from the trade papers. Hull FC have become involved in the ongoing swap saga between Castleford Tigers and Huddersfield Giants after expressing interest in Sebastine Ikahihifo, report League Express. The New Zealander has been the subject of interest from Castleford, who reportedly were willing to part with Joe Wardle in order to get Ikahihifo. Hull FC have also joined the discussions, and they are willing to part with winger Fetuli Talanoa to make the deal happen, according to League Express. Danny Brough has revealed how ‘half of Huddersfield’ – and his own mum – heard he was off to Wakefield before he did, report League Weekly. RFL chief executive Ralph Rimmer has revealed that a deal with Matchroom Sports, the company that administrates the sporting empire of Barry and Eddie Hearn, will not have a role in rugby league for the time being, although he hasn’t ruled out forging links in the future, report League Express. There is a financial impasse in the proposed swap deal Castleford Tigers have been engaged in with Huddersfield Giants over the past few weeks, report League Weekly. 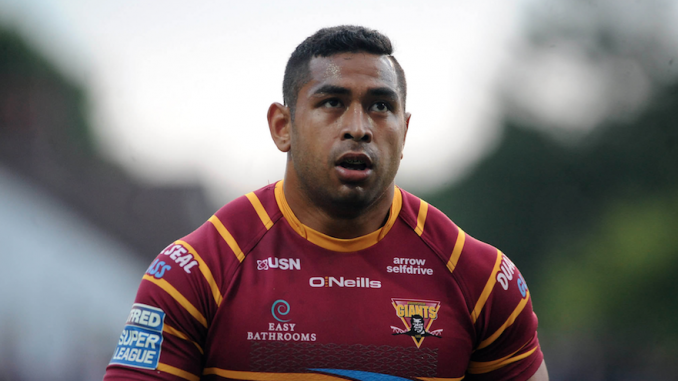 There has been a lot of talk over the last couple of weeks regarding a swap deal between Huddersfield Giants’ Sebastine Ikahihifo and Castleford Tigers’ Joe Wardle. League Weekly report that the Giants are holding out for £35,000 for him and the Tigers board are, at this moment in time, not prepared to pay it. Huddersfield Giants youngster Olly Russell will join Leigh Centurions on a season-long loan in 2019, report League Express. The 20-year-old has agreed to join the Championship club in order to gain more first-team experience, suggest League Express. He made his debut for the Giants in May and went on to play six times for the club. He will look to form a partnership in the halves alongside Martyn Ridyard, who has returned to his hometown club for 2019. Warrington Wolves are in talks about extending head coach Steve Price’s contract, report League Weekly.